Losing weight is never easy and with so much conflicting advice and so many diet regimes to choose from, how do you know which eating plan is right for you? 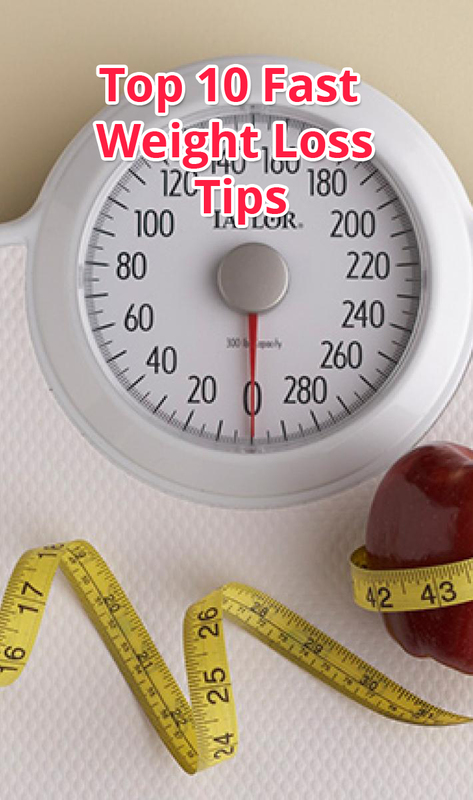 Here we present ten tried-and-tested practical weight loss tips, sure to shed the pounds and see you achieve the body you always dreamed of. Artificial sugar (or, as it has become recently known, ‘the new tobacco’), is an unnecessary and addictive source of empty calories with fat-promoting effects. When we consume an excess of sugar and refined flours this can cause blood sugar levels in the blood to increase. The body does not like anything that is different from its optimum composition, and as a result when there is an increase in blood sugar the body releases the “fat storage” hormone, insulin. When insulin is secreted this acts to convert free glucose in the blood to glycogen which can be stored in the liver- decreasing blood sugar levels back to normal. Most people look to cut all fat out of their diets when trying to lose weight, however, eating a diet rich in healthy fats ( fish, meat, seeds, nuts, olive oil, avocados etc.) will not only leave you feeling fuller, but make food taste better and provides the fuel our bodies need to burn calories. So cut the sugar- and not the fat! …or skimp on them either. Hunger is the downfall to all diets, and a successful weight-loss plan will promote regular, planned meals throughout the day. Our metabolism is like a muscle, it needs to be used to function at its best and therefore skipping meals could actually be sabotaging your weight-loss efforts, as well as making you more susceptible to overeating later on. The average person’s diet is overloaded with chemicals, preservatives, toxins, artificial sweeteners and food colouring. By removing all refined and processed food in favour of natural, organic produce, we cut out all that hidden sugar and hyper-rewarding artificial chemicals that make us crave junk food and refined ‘simple’ carbohydrates. A healthy diet is a balanced diet, and in order to shift the bulge you’ll need to give your body what it wants. So, instead of counting calories or cutting out whole food groups, focus on nutrient balance – making sure each meal you eat contains a good source of carbs, protein and fat. By ensuring each of the major food groups are represented in your diet plan, your body will receive all the energy and nutrients it needs to function properly and be at its best. Many of us have too much salt in our diets and given the out-of-control levels of sodium in many processed foods, it can be difficult to stay within the recommended guidelines. However, salt is a big cause of weight gain and can also cause us to feel hungrier and thirstier, thereby eating and drinking even more. While a certain amount of sodium is essential for good health (around 1-3 tsp a day, depending on level of activity), try balancing out your salt intake with other seasonings such as herbs and spices. Capsaicin, an ingredient found in hot chilli peppers, is particularly good for adding flavour while aiding weight loss as it is believed to temporarily increase a person’s metabolic rate and curb appetite at the same time. A successful diet is all about acknowledging our eating habits and knowing where our strengths and weaknesses lie. One of the best ways to achieve this is with a food diary. By writing down what you ate, how much you ate, when you ate and any drinks or condiments added to the food, you will be able to track your eating patterns and identify areas for improvement. Be honest with yourself, including everything from that mouthful of sauce you tried while cooking to that bite you stole from your partner’s pudding. Many of us are ‘secret eaters’ and it’s these moments which we are quick to disregard that can quickly add up and pile on the pounds. Also record how you felt after eating. Emotional eating is a big contributor to weight gain and you need to be sure that you’re eating because of hunger, not because you’re bored or need a pick-up. It’s no surprise that the percentage of people who are sleep-deprived is nearly identical to the percentage of people who are overweight. Sleep controls our diet and there is a wealth of research to prove that sleeping for less than seven hours a night can reduce, and even undo, all the benefits and hard work of dieting. Lack of sleep will not only reduce your energy (causing you to turn to food for sustenance), but can actually exhaust your fat cells too. According to researchers at the University of Chicago, this ‘metabolic grogginess’ can cause our bodies to become up to 30% less sensitive to insulin, which will in turn lead to higher amounts of stored fat. Physical activity is an important component in any diet programme as without it, only a portion of your weight-loss will be from fat. 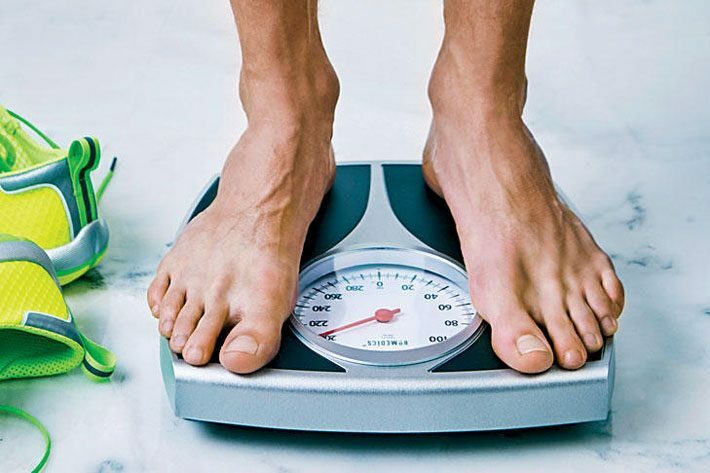 Losing weight through diet alone will strip your body of its muscle and bone density, experts suggest weight-loss is best achieved through 75% diet, 25% exercise. Physical activity is also often cited as one of the most important factors in maintaining a healthy weight, with all the additional benefits of reducing blood pressure, strengthening your cardiovascular system, improving your mood and helping prevent the insidious loss of bone known as osteoporosis. Eating more slowly and chewing your food for longer may take a little patience but it can have a hugely positive impact on how much you actually eat. When we eat quickly, our bodies do not have time to go through the natural signalling process between our gut and our brain – the time it takes for our hormones to register we are full approximately 20 minutes. By rushing a meal your body’s satiety cues will not recognise feeling full- making it easier to overeat. Put down your fork between mouthfuls and try chewing each mouthful at least 10 times – pausing between mouthfuls if you feel yourself eating too fast. An effective weight-loss plan requires realistic goals and permanent, long-term commitment. The changes you are making to your diet should therefore be matched with changes to your lifestyle too, adapting your habits to an eating and exercise plan that you know you can live with once the initial buzz has passed. 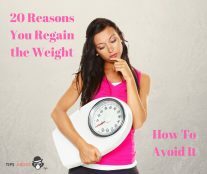 While rapid and dramatic weight loss can be extremely rewarding, a slow and steady approach to weight loss is a far healthier way to go, and far more likely to shave off the weight for good.